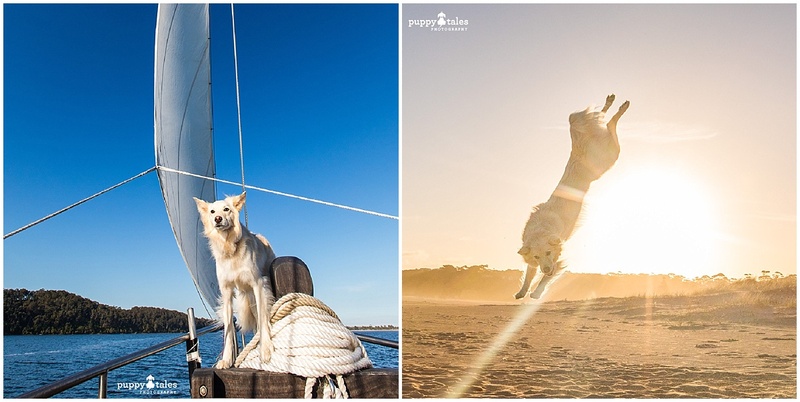 Lakes Entrance has one of the largest fleet of commercial fishing vessels in Victoria but it is also a surprisingly dog friendly holiday town on the Gippsland coastline. Having the largest network of inland waterways in the Southern Hemisphere as well as the famous 90 Mile Beach, you can enjoy everything from kayaking the calm waters of the inlets to the action of a surf beach! Situated about 320 kms east of Melbourne via Bairnsdale, along a stretch of the Princes Highway. Originally named Cunninghame in 1870, it was renamed to Lakes Entrance on 1 January 1915. The original natural entrance was unpredictable and at times dangerous, so in 1872 work began to cut an artificial entrance to the west. Soon after, a township began to form on the shores opposite and a busy port began to take form. Work proceeded slowly on the new entrance and in 1876 work was abandoned. Sir John Coode advised on improvements, but work didn’t resume until the early 1880s. In 1889 a severe storm prematurely opened up the new entrance, with the natural entrance quickly silting up. Camping became very popular here after the first World War, which led to the first of many camping parks opening in 1928 to discourage camping on public grounds. Lakes Entrance has Victoria’s largest fleet of commercial fishing vessels with around 50 vessels. The fleet fish through the lakes as well as venturing into Bass Strait catching a large number of species which are then sold from the wharf through the Fisherman’s Cooperative. 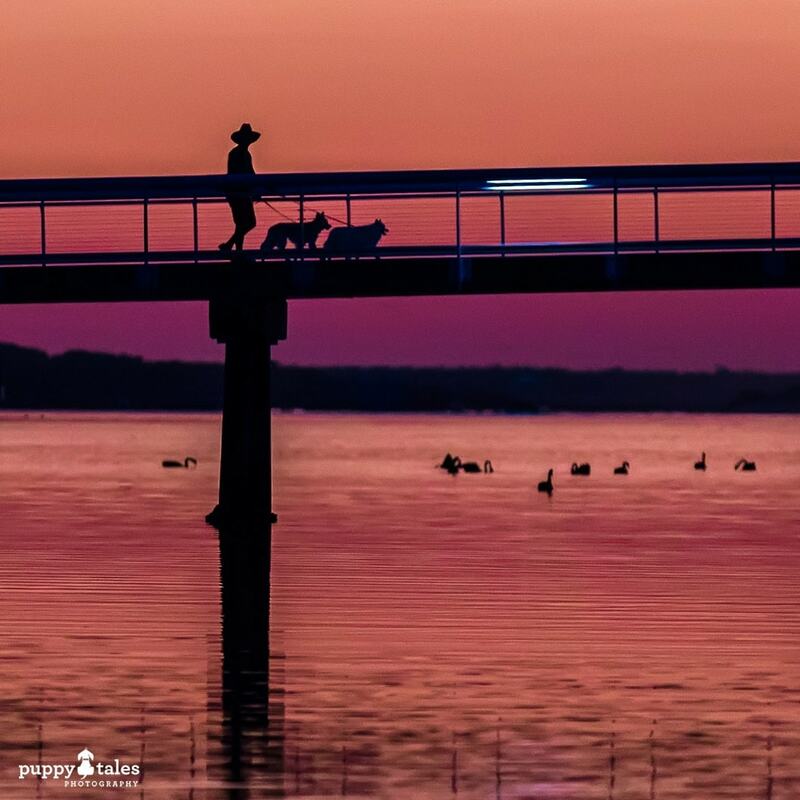 Lakes Entrance is a favourite for a large number of visitors throughout the year and also an attraction for the 4800 locals due the close proximity to recreational fishing, boating and swimming. We took our caravan to Lakes Entrance and stayed at the Lakes Entrance Recreation and Camping Reserve. Perched on the North Arm waterway, it is also close to town and all the attractions of the area, as well as being pet friendly all year round. If you aren’t travelling with a caravan, Prime Pet Friendly Tourist Park has pet friendly cabins and cottages available. Located just 400m from the main street of Lakes Entrance, it is convenient to attractions and cafes of the town. Various other accommodation stays can be found through both Airbnb and Stayz. Just be sure to check what the rules of the house are regarding your dog staying with you. There are so many walks to explore in and around Lakes Entrance, varying from the beach to the forests nearby. One that takes in varying scenery is the walk from Lakes Entrance to The Entrance. This is an amazing, short walk that will take you on a 4.6km return trip from the iconic footbridge, through coastal bushland taking about 2 hours. You can chose to follow the sign posted track or walk along the edge of the lake or along 90 Mile Beach. Another scenic morning walk is the trail that follows the rock wall adjacent to Rigby Island to Kalimna Jetty. From the visitor centre you cross the North Arm Bridge then follow the sign posted gravel route along the North Arm to Kalimna Jetty. Only about 3.2 kms return and taking about 1 hour, you will pass the calm waters of the inlet and arrive at Kalimna Jetty, a popular crabbing point. If you are looking for a walk that will keep you in town, you can venture down towards the east end of Cunninghame Lake from the footbridge. This is just over 5 km return of sealed pathways that follows the shore line of the lake to Lions Park at Eastern Beach. Feeling like venturing a little further out of town, then you can drive out to Lake Tyers and take on the Lonely Bay Walk. The trail takes you through untouched wilderness which overlooks stunning views of Lake Tyers, from the opposite side of the township. Varying environments such as wet gullies, dry open forest, lakeside and thick scrub accommodate a good range of bird species. On the 1st Sunday of each month you can experience the Surf Club Market. This is held at the Foreshore Rotunda near the footbridge. A large variety of market stalls with all proceeds going towards the Lakes Entrance Surf Life Saving Club. The calm waters in Lake Cunninghame and the North Arm make for a playground for ski boats, kayaks, canoes and Stand Up Paddle boards. You can also hire a small boat from Portside Boat Hire on the North Arm. They have half cabins boat that can take 6-8 people and are available for hire by the hour. You can also hire a BBQ boat for up to 12 people with a 3 hour minimum hire. There are two options for a Boat Cruise on the Lakes that allow dogs, both of them provide different experiences. For a sail boat experience on board Gippsland Lakes very own tall ship from Broome, you can step aboard Pam with Pearl Lugger Cruises. Offering morning and sunset 3 hour cruises, you can sail the Gippsland Lakes, occasionally spotting dolphins and seals at play. The other option is a motor crusie with Lonsdale Eco Cruise which departs daily, except Wednesdays, at 1pm. Motoring to The Entrance and around the waterways and inlets of the Gippsland Lakes, you can sometimes see dolphins and seals. You will also be treated to tea, coffee and freshly baked scones with jam and cream. You have your choice of different styles of beaches in and around Lakes Entrance. Anything from lakeside to surf beach is on offer. If you are after a surf beach, then there is Main Beach, Eastern Beach, Red Bluff and Lake Tyers Beach. All are part of 90 Mile beach, so be aware of currents and people fishing if you are going for a swim. We liked Lake Tyers Beach as there is a large amount sand between the surf and the lake (which outside of the popular areas where restrictions may apply) allowed for a lot of room to for your dog to stretch their legs. There is also sand dunes there if you want that extra effort to tire out your dog. The shoreline of Cunninghame Arm opposite the town is very peaceful. You can stop at any part along here for a dip or a picnic. Local Black Swans are often seen here as well as the normal fishing birds found in a seaside village. What we liked was when we came across a dog off lead, they would be put on lead as we passed them. This would make it a little easier for our dogs as they are on lead at most times. With Lakes Entrance having such a large fleet of commercial fishing vessels, the main item on the menu here is seafood. A large number of cafes and restaurants have outdoor seating that allow your dogs to sit patiently by your feet while you enjoy their menu. Our list below are the eateries that we visited during our time at Lakes Entrance, and you can check out a more details about them in our Dog Friendly Cafes & Restaurants of Lakes Entrance post. The Lakes Boatshed Cafe is located along the North Arm you will find this hidden gem. You can enjoy wholesome homemade food, grab a healthy takeaway lunch as well as great coffee, tea and smoothies. Not only is the coffee good, but everything else is pretty darn good too! Coffee, teas, mochas plus an all day breakfast menu and lunch items. If you have a sweet tooth, there is a tempting sweets cabinet too! Ferryman’s offers an extensive menu of locally caught seafood and the some of the freshest produce in the area. You can also buy from their seafood food if you want to take some home. As expected, there is an abundance of Fish and Chips shops that can be found along Esplanade. Some of them have seating along the pavement, but there are plenty of picnic tables available in the park along Cunninghame Lake. They offer all the regular offerings you would expect form a fish and chip shop. 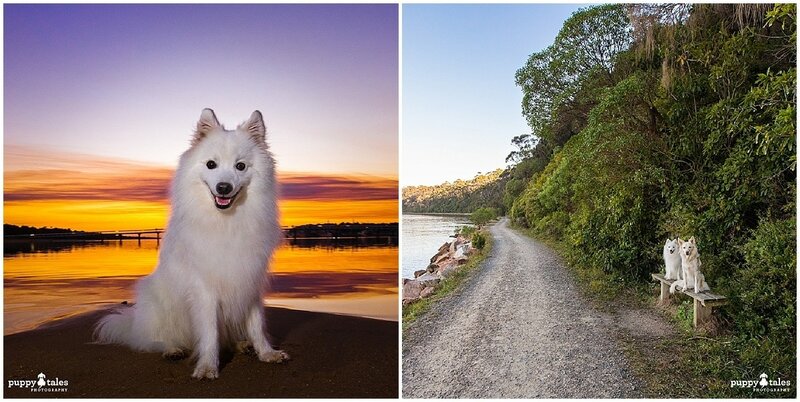 Various festivals and events are held throughout the year at Lakes Entrance that you can attend with your dog. There is a range events that showcase the local seafood, the waterways around Lakes Entrance as well as the fantastic fun you can have on the beach! Check out the Lakes Entrance Events website for upcoming events and more information. Lakes Entrance has been known to be the fishing capital of Victoria, so be prepared to see a lot of boats cruising the waterways here during peak holiday season. The Tourist Information Centre has very helpful staff and you can always have a look on the Visitor Information website as well. Should your dog need any medical help during your stay, there are two vets within Lakes Entrance that you could visit. There is the Lakes Entrance Animal Hospital at 60 Church Street, and the Lakes Veterinary Clinic on the Princes Highway. We visited Lakes Entrance in March 2018. Information and services available may have changed since then. Please call ahead and confirm availability, dog friendly-ness and other information prior to visiting yourself just to ensure that you too have a wonderful trip!